The Punjab Wildlife Department has failed to curtail the sale of birds being held in cages despite a ban on the practice. In most of the cases, locals end up purchasing the birds and release them as an act of kindness or charity. On the streets of Gulberg, people can be seen selling four or five batches of birds on a daily basis. One of them is Saleem who is standing on Zafar Ali Road with a cycle and a cage. 150 to 200 birds are sold on a daily basis and he is able to earn Rs 1,000 to Rs 1,500 every day. He reveals that he does not catch the birds himself and buys them from Lahore’s Toletin market or around Data Darbar. He ends up saving Rs 8 to Rs 10 on every bird. According to one family that frees these captured birds, the act of liberating the birds is a source of virtue and an act of charity. The family members say they feel a sense of gratification when they see the birds fly away from their confines. Those who cage the birds are aware of their wrongdoing but say they are involved in the business to make a living. 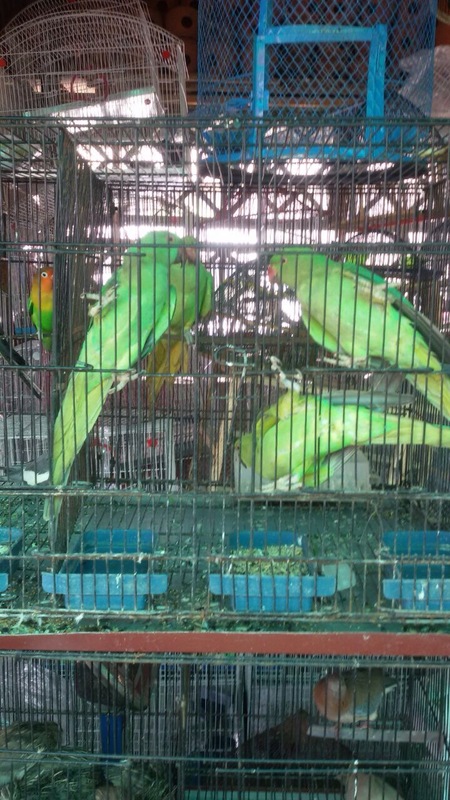 They add that around a million birds are caged every year in Lahore and freed after being sold. Hundreds of the animals also perish due to hunger, thirst and extreme exposure to the sun. A Punjab wildlife official claims action is frequently taken against those who sell birds, but the problem arises when some species lack legal protection such as the crow and some of its genus.